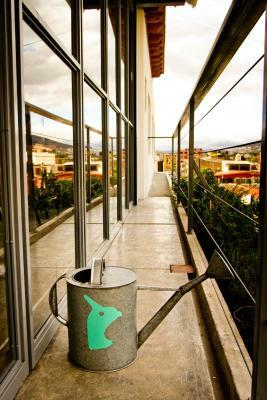 Lock in a great price for Hostal Tres Central - rated 9.1 by recent guests. 2nd time staying here. Great modern and clean place. Friendly staff. Would stay again. Very clean, central location and great rooftop for coffee in the morning. 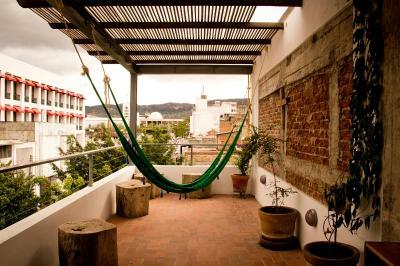 The hostel offers many tours which make it easy to see Chiapas. We stayed for two nights and did two day trips. Very good value for money. Would return! The Room was very spacious and the bed comfortable. You can fill your water up and get coffee for free. Very nice place, very clean, fantastic rooftop, very helpful people working there. Best budget accommodation we came across during our trip in Central America. Super clean, new, simple but practical! Private rooms were great. Lots of space and great view! 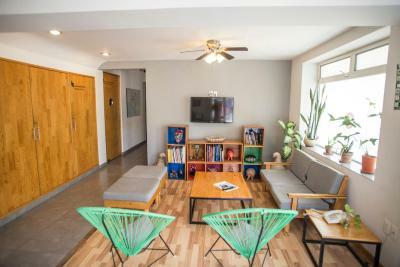 Situated a 2-minute walk from Tuxtla Gutierrez’s Central Park, the Tres Central hostel offers shared dormitories and private rooms with air conditioning and free Wi-Fi. The terrace offers hammocks and city views. 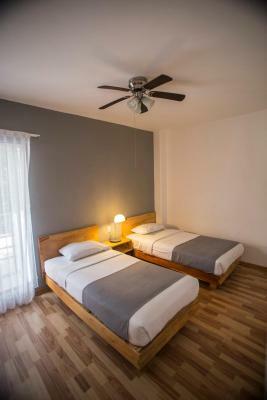 All rooms and dorms at the Hostal Tres Central feature functional contemporary décor and wooden floors. 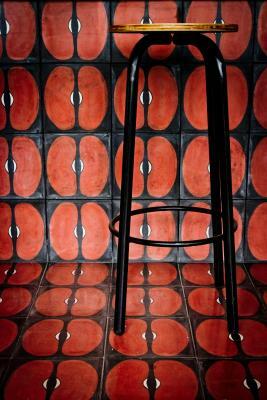 Some have shared bathrooms, while others have a private en suite bathroom. Free parking from 20:00 to 8:00 of the next day is possible. Hostal Tres Central offers a shared TV lounge with 2 computers and free internet access. 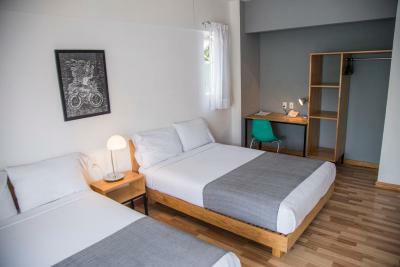 There is also a bar and a 24-hour reception which can arrange laundry service on request. 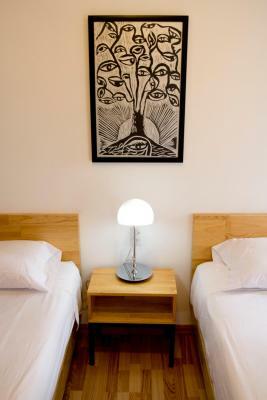 La Marimba Park is within a 10-minute walk of the Hostal Tres Central. Tuxtla Gutierrez Bus Station is a 15-minute drive away, while the beautiful Sumidero Canyon is a 30-minute drive away. 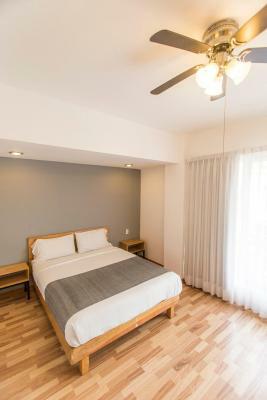 This property also has one of the best-rated locations in Tuxtla Gutiérrez! Guests are happier about it compared to other properties in the area. This property is also rated for the best value in Tuxtla Gutiérrez! Guests are getting more for their money when compared to other properties in this city. 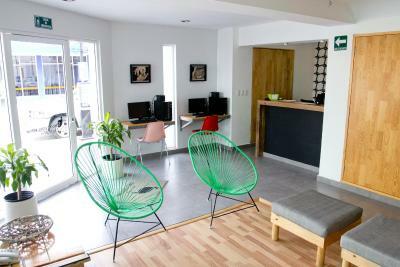 Hostal Tres Central has been welcoming Booking.com guests since 30 Sept 2013. 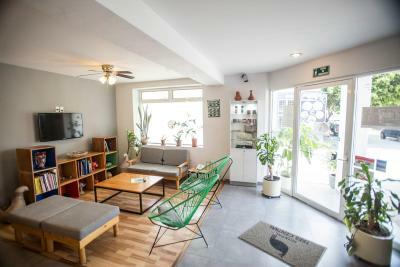 When would you like to stay at Hostal Tres Central? 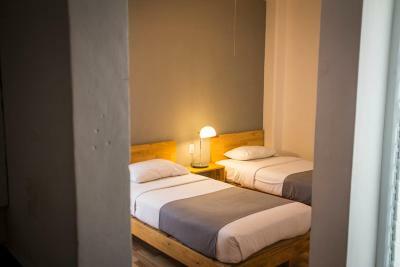 This bed in a shared dormitory includes free WiFi, air conditioning, fan and lockers Guests have access to a shared bathroom in the corridor. Please note that this is a bunk bed. In the bedroom you find 2 bunk beds, the room itself is shared by 4 people. Children are not allowed in dorms. 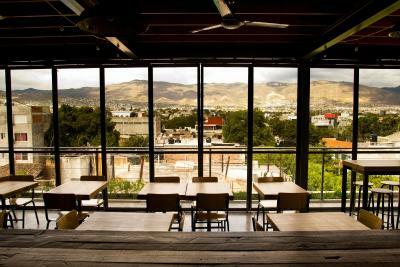 Public parking is possible at a location nearby (reservation is not needed) and costs MXN 10 per hour. 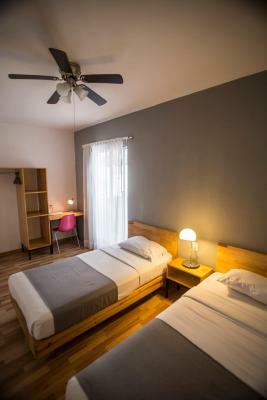 This room offers free WiFi, wooden floors, and air conditioning. 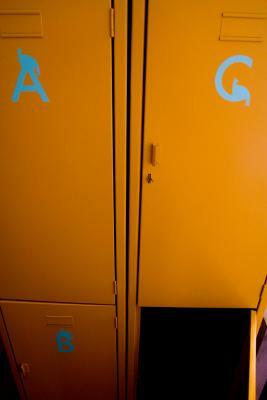 The bathroom is located in the corridor and is shared with 1 other room. Free parking is included from 20:00 to 8:00 of the next day. 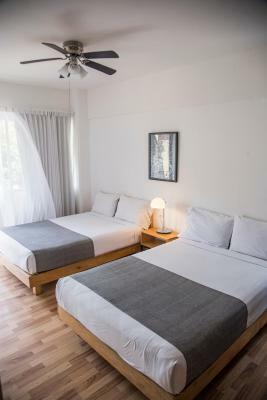 In addition to a balcony, this room offers free WiFi, air conditioning, fan, cable television an en suite with a shower. Free parking from 20:00 to 8:00 of the next day. This is a family-friendly room. 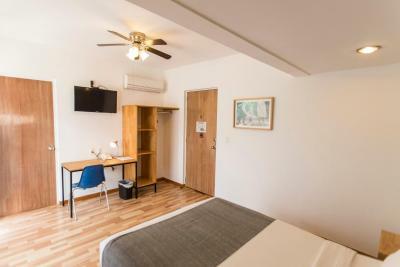 This room features a balcony, free WiFi, cable television, air conditioning, fan, and an en suite with a shower are also included. Free parking from 20:00 to 8:00 of the next day. This is a family-friendly room. 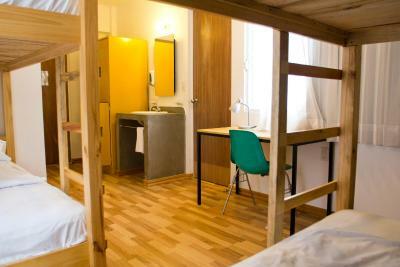 This bed in a shared dormitory includes free WiFi, air conditioning, fan and lockers. 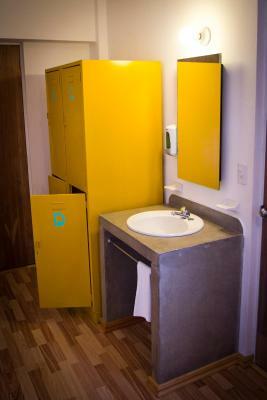 Guests have access to an en-suite shower and sink, and a shared bathroom in the corridor. Please note that this is a bunk bed. Please note that this is a bunk bed. 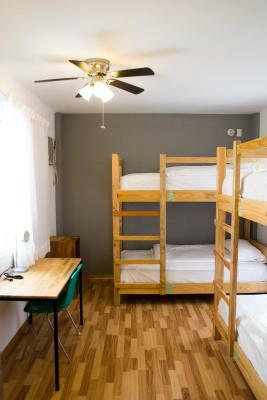 In the bedroom you find 2 bunk beds, the room itself is shared by 4 people.Children are not allowed in dorms. House rules Hostal Tres Central takes special requests - add in the next step! A damage deposit of MXN100 is required upon arrival, which is about GBP4.09. This deposit is fully refundable during check-out as long as there has been no damage to the property. Hostal Tres Central accepts these cards and reserves the right to temporarily hold an amount prior to arrival. 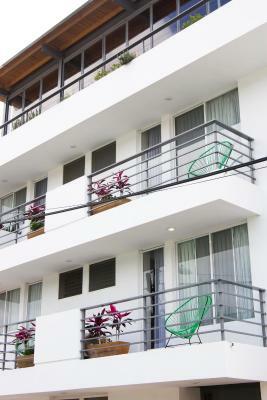 Please note that Hotel Tres Central does not have an elevator and is accessible by stairs only. Please note that the free public parking in only from 20:00 to 08:00. After those hours there's an extra charge per hour. 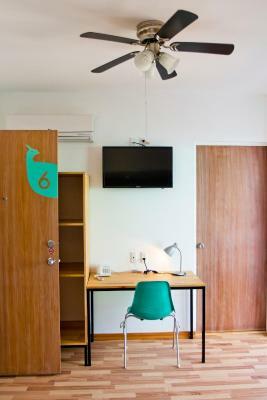 Please note that children are not allowed in the shared dormitory rooms. A refundable cash deposit is requested upon Check-In. Please note that children are not allowed in the shared dormitory rooms. Only private rooms can accommodate children. A damage deposit of MXN 100 is required on arrival. That's about 4.09GBP. This will be collected as a cash payment. You should be reimbursed on check-out. Your deposit will be refunded in full in cash, subject to an inspection of the property. The restaurant and bar could have better hours. Great hostel. 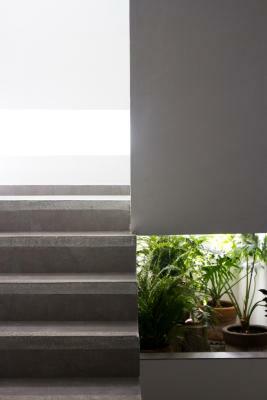 Cleanest and most modern Ive seen in Latin America. Amazing staff. Hostel really quite and clean. 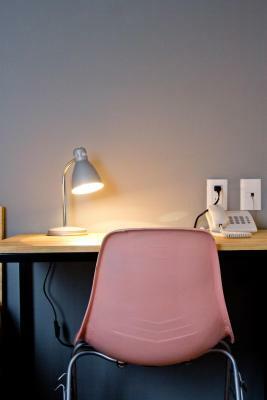 Staff was friendly and rooms well equipped. Bar on the top terrace was nice but closed early. The kitchenette is only available until 15:30 and even then you can’t store things in the fridge because it doesn’t belong to the hostel, it belongs to a restaurant. 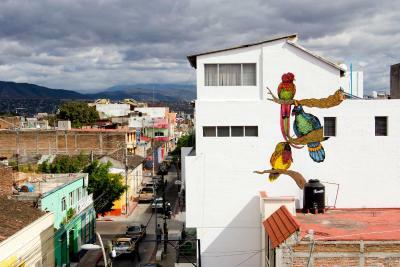 Rooftop terrace is a great place to hang out. Nice that the room had a balcony. Free water. Very traveler-friebdly! No facilities for breakfast etc. 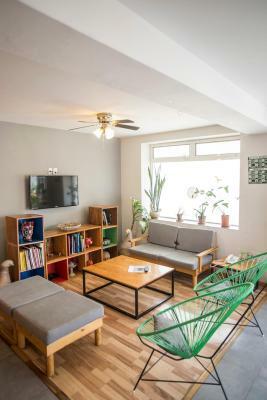 Nice & modern hostel in the city centre! The guy who was at the reception when we came back to pick up our luggage was unfriendly from the start. It got worse when it turned out that we didnt know we had to pay for leaving our luggage (apparently so after more than 24 hours after your check out) which is fine but no one had informed us about that and we hadn't read it in all the info sheets so there was some confusion. Instead of talking with us, he went to check with his colleague who couldnt admit he maybe hadn't informed us. The woman who was at the reception when we arrived first time was super friendly, happy to answer our question and provided us with a lot of information.